Culture starts with instructional leaders, who should be able to answer the question: ‘‘Why are we here?’’ These instructional leaders define how we as a tribe engage in our work and what are acceptable values and behaviors for that work. Every school will have one or more instructional leaders, whether or not they are formally recognized by virtue of how schools are organized. The principal is usually the top instructional leader because people look to them as the ultimate authority. This is because a school’s vision usually starts with the principal. They’re the ones who are making hiring decisions and who are accountable for their school’s data. They often set the priorities, the scheduling, and the resource allocation for their building. They’re also the ones who are engaging and evaluating teachers. If a principal of a building is hiring new staff, they’re identifying individuals who have the behaviors, values, and expectations that are consistent with the team that they’ve already built. This affects culture because if a principal does not take on the role of top instructional leader or does not explicitly delegate that authority to a particular person, then that power is deferred to someone else who doesn’t really have the authority. In the case where power is deferred, what NGSS should look like in the classroom is going to become a power struggle among individuals, including teachers, parents, or the students themselves. Because of this, there needs to be somebody who’s thoughtfully and intentionally functioning in the role of top instructional leader. This person can then communicate a clear vision. By doing so, they’re empowering their team members to act in accordance with the vision. The team, instead of struggling for power, acts collaboratively to refine and inform the vision. Within this culture, teachers also feel the permission to take risks, understand what’s expected of them, and gain confidence that what they’re doing has a purpose. This reduces fear and anxiety, making for a more enjoyable work environment. It also creates space for a team of instructional leaders under the principal to emerge. Who Can Be an Instructional Leader? Anyone with vision and motivation can become an instructional leader. There are several steps to take on this mantle. First, connect with the essence of NGSS to understand how science is really about the integration of the three dimensions and what it means to be a scientist and engineer. The best place to gain this knowledge is to go straight to the source: read and reflect on everything the NGSS has put out. What you want to understand is the root why these standards were put in place and why the old standards were insufficient. Fundamentally it comes down to innovation. Once you’re familiar with the NGSS documentation, the next step is to develop a vision for what it means for students to learn in three dimensions. What will empower students to learn as scientists and engineers? Share the vision among your team and with your students, making it the center point of why the shifts you’re making in teaching and learning are important. This will allow you to empower students with an environment where they can master the Next Generation Science Standards in three dimensions. This includes not covering standards in isolation, or trying to teach skills, content, and crosscutting concepts in isolation. 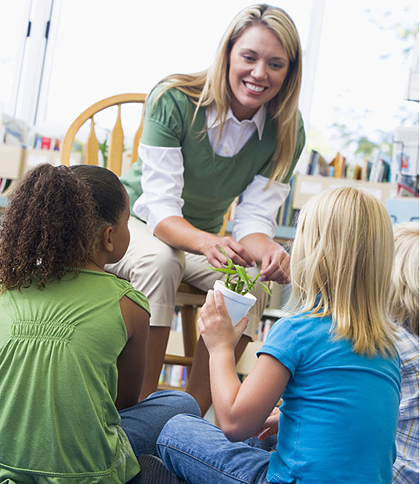 Invite others in to observe teacher practices and student learning, and provide constructive feedback. This leads to a second key piece of implementation that can reinforce or change culture: professional development, which we'll talk about next week.